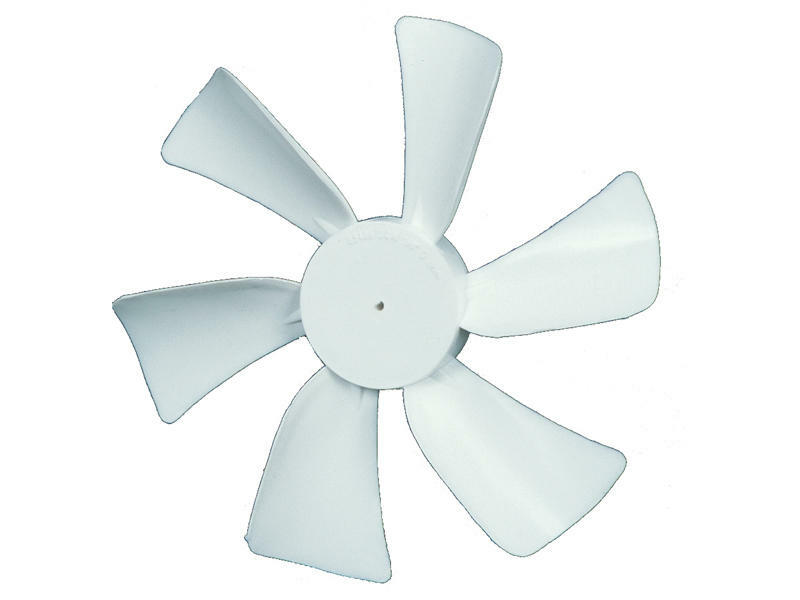 6 inch fan blade for 12-V powered roof vent or range hood. White, impact-resistant plastic. Fits Jensen, 1/8" D. Bore, CW, CD/1.